A Dubai-bound Jet Airways flight from Mumbai with 54 passengers and 7 crew onboard was on Thursday diverted to Oman capital Muscat following a bomb threat where it landed safely. The Omani security agencies are carrying out a search of the aircraft, baggage and cargo, Jet Airways said. The alleged bomb threat to Jet Airways plane comes two days after a Turkish Airlines plane to Istanbul from Bangkok landed at IGI Airport in New Delhi under emergency conditions following a bomb scare. No explosive was, however, found and the aircraft was allowed to leave. "Jet Airways flight 9W 536, which departed from Mumbai at 1246 hrs for Dubai, was diverted to Muscat due to a bomb threat. 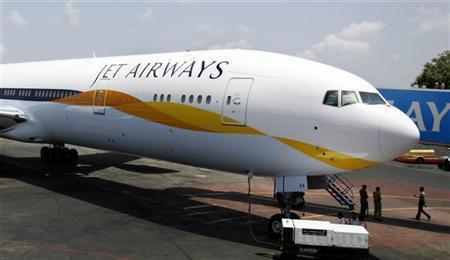 The aircraft with 54 guests and 7 crew on board landed safely in Muscat at 1320 hrs local time (1450 hrs India)," Jet Airways said in a statement. All guests and crew disembarked without any incident and were taken to the airport terminal, the airline said. The Omani security agencies are searching the aircraft, baggage and cargo for any possible explosive material, it said adding guests are being looked after and have been provided refreshments.